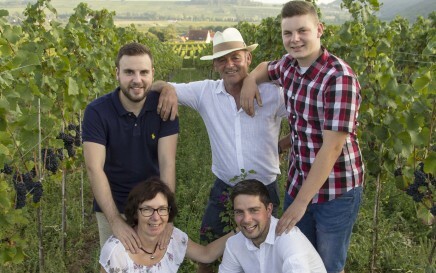 Weingut Ehrhart GbR, Eschbach is a member of Wein‑Plus and thus supports this wine guide. Thank you! By creating Weingut Ehrhart GbR saved filter, you will see relevant matches on your home screen. The estate Ehrhart is located on the northern outskirts of Eschbach (area Southern Wine Route) in the German wine-growing region palatinate, The company is run by Reinhold, Ute and Benjamin Ehrhart in second and third generation. The vineyards cover 11 hectares of vineyards in the individual layers hare (Eschbach), Rittersberg (Ilbesheim) and Sonnenberg (Leinsweiler). They are planted with the white varieties Riesling (Leitsorte), Pinot Noir, White Burgundy varieties and Sauvignon Blanc. There is a natural management with greening (instead of mineral fertilization) and waiver insecticides in order to protect the beneficials, Currently being up Organic viticulture changed. Careful foliage maintenance is one of the quality-enhancing measures in the summer Defoliation and removal of shoots. The yield-reduced grapes are added physiological maturity selectively read and processed only healthy and fully ripe grapes. The four-level quality pyramid is divided into vineyard wines, *** wines, ** wines and estate wines. The white wines are partly temperature-controlled in steel tanks, as well as in oak barrels or barriques spontaneous fermented and aged. The red wines ripen after traditional mash fermentation in large oak barrels or barriques. It is also bottled fermented sparkling wine and Secco (sparkling wine) produced. During the expansion care is taken to the greatest possible protection, worked without additives and then sometimes even without filtration filled to the bottle. The winery is a member of the Riesling association.